Solutions for Try To Escape Level 8 Walkthrough – Play as detective to help the woman to escape in this detective story room escape theme and prove your room escape skills ! Try to solve puzzle, pick items and most important – find your way to escape. Collect 15 silver coins to unlock the secret room ! Answers for Try To Escape Level 6 Walkthrough – Play as detective to help the woman to escape in this detective story room escape theme and prove your room escape skills ! Try to solve puzzle, pick items and most important – find your way to escape. Collect 15 silver coins to unlock the secret room ! This entry was posted in try to escape on September 13, 2016 by 100doorssolution. 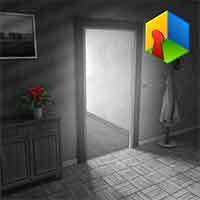 Solution for Try To Escape Level 5 Walkthrough – Play as detective to help the woman to escape in this detective story room escape theme and prove your room escape skills ! Try to solve puzzle, pick items and most important – find your way to escape. Collect 15 silver coins to unlock the secret room ! This entry was posted in try to escape on September 11, 2016 by 100doorssolution. Solutions for Try To Escape Level 4 Walkthrough – Play as detective to help the woman to escape in this detective story room escape theme and prove your room escape skills ! Try to solve puzzle, pick items and most important – find your way to escape. Collect 15 silver coins to unlock the secret room ! This entry was posted in try to escape on September 10, 2016 by 100doorssolution. Hint for Try To Escape Level 3 Walkthrough – Play as detective to help the woman to escape in this detective story room escape theme and prove your room escape skills ! Try to solve puzzle, pick items and most important – find your way to escape. Collect 15 silver coins to unlock the secret room ! This entry was posted in try to escape on September 9, 2016 by 100doorssolution. 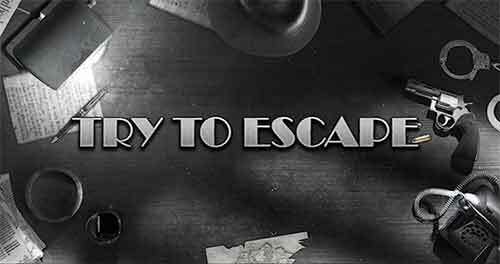 Hints for Try To Escape Level 2 Walkthrough – Play as detective to help the woman to escape in this detective story room escape theme and prove your room escape skills ! Try to solve puzzle, pick items and most important – find your way to escape. Collect 15 silver coins to unlock the secret room ! This entry was posted in try to escape on September 8, 2016 by 100doorssolution. Guide for Try To Escape Walkthrough – Play 9 free detective story room escape theme and prove your room escape skills ! Try to solve puzzles, pick locks and most important – find your way to escape. Collect 15 silver coins to unlock the secret room ! Good evening! I’m sorry to barge in like this. But, i really need your help detective! My sister was kidnapped and i think they are coming after me now! She was last seen at the post office and then she just dissapeared. Would you please take the case? Thank you so much ! I knew you’d help me! I think we’re in danger, i saw someone following me to the building. We should escape through the window. Let’s look at the window. I’m sure you have a gun somewhere. Let’s look for it. Tap right painting to find a safe. A safe! Gun has to be in there. Do you know the combination ? Nice! That has to be the code to the safe! Let’s go and open it. Pick up the gun and silver coins, it can open a secret elevator in one of the highest skyscrapers! I’ve heard the stories that if you find 15 of them, you can get a ride to the top and claim untold riches. Get it and keep an eye for more on your journey. Ok, Now we need to escape quickly. Go to the window and shoot it open. Use the gun to open the window. It’s open! But… i didn’t realise that it was this high! We’ll need something to climb down. Those scarves should work well! Take them both. Now tie them together to get our escape rope, combine both item from inventory. Marvelous. Let’s go to the window and use it. That looks sturdy enough. It’s time for us to leave. I know you’ll do a good job. Please find my sister. Let’s go! Best of luck on your investigation, detective. This entry was posted in try to escape and tagged Try To Escape Cheats on September 8, 2016 by 100doorssolution.